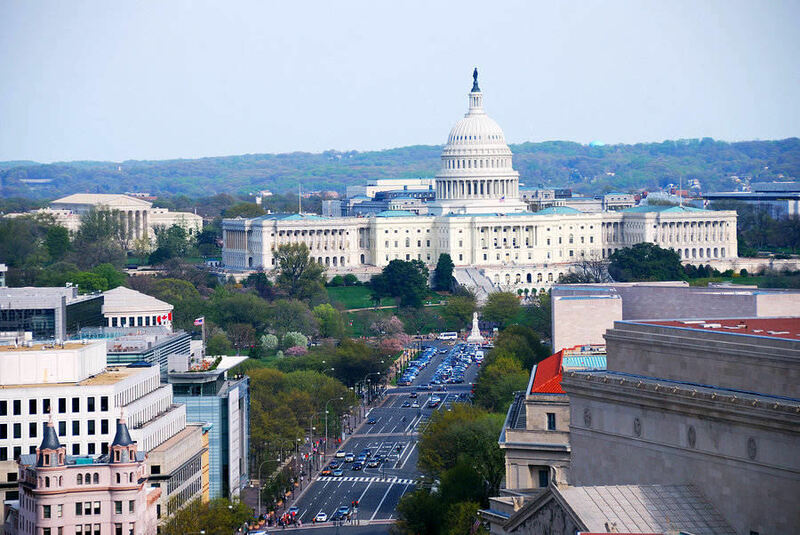 As the center of American politics, Washington D.C. is a top moving destination for people from all over the world. Each month, thousands of people move to the city so it is very likely that the person next to you is also a new arrival to the capitol. Washington is a very transient city where people just come and go. There are historical points of interest in every corner of the city and career opportunities are endless depending on your educational background. Now that you have decided to move to the Capitol or perhaps seriously considering it, you should know that best way to have a successful move is to plan it well. While moving is usually exhausting physically and emotionally, it can also be exciting and full of anticipation when done the right way. How can you relocate to Washington, DC without the frustration and stress that comes with most moving experiences? 5moversquotes would love to help you plan your DC move so that you can think of it as a positive and stress-free experience. 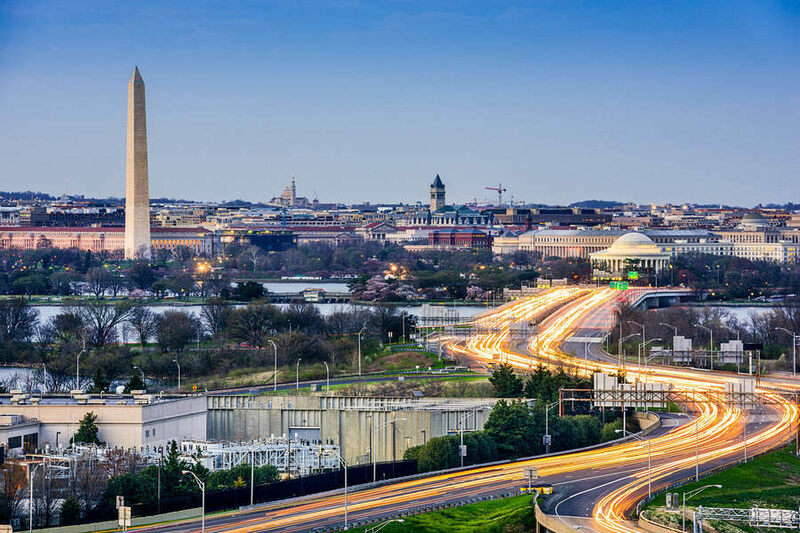 We have prepared for your consideration the most essential things you need to know about moving to DC and moving tips to help you settle like a local when you arrive. Most importantly, we understand that you want to keep your moving costs under control. 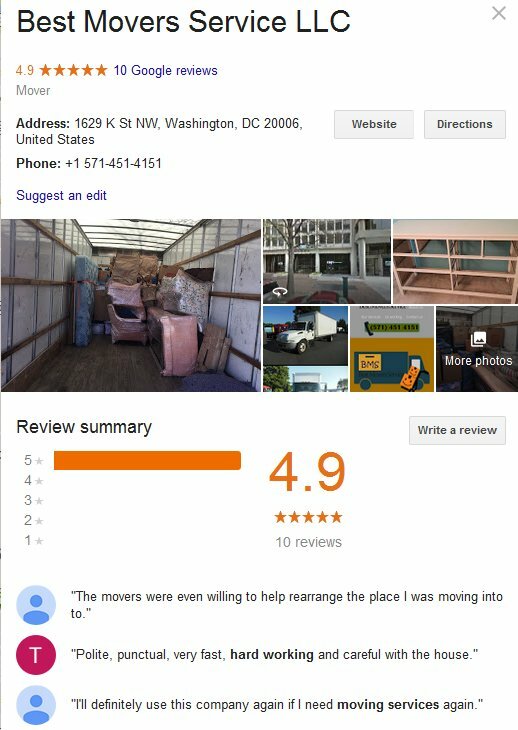 In this regard, we have also prepared for you a review of Washington, DC moving companies that offer a wide variety of moving solutions for all types of moving needs and budget. So before jumping blindly into planning your move, take a look at this complete moving guide to Washington, DC. We will provide you with the approximate costs of Washington DC moving companies to help you prepare your budget. 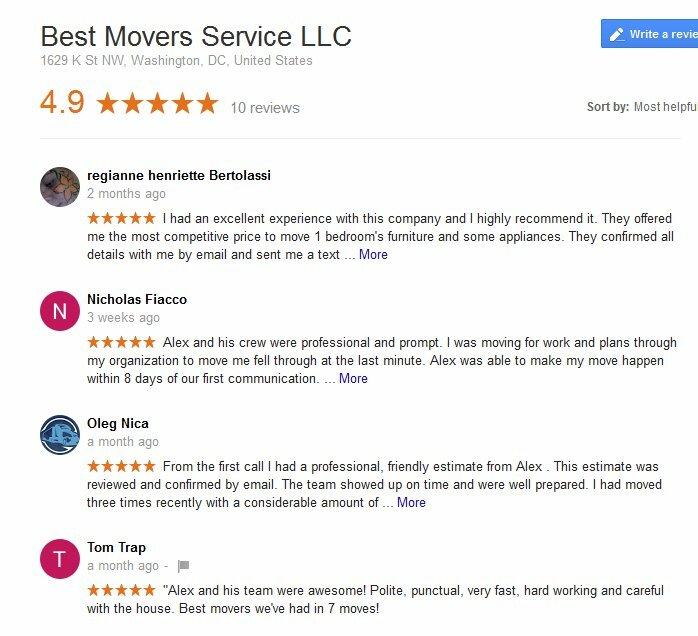 Best of all, request for 5 free moving quotes so you can begin comparing costs of DC moving companies and choose the right moving company for your relocation needs. Many people who move to Washington, DC are surprised at how much smaller it is in size. As the most influential city, not just in America but the world, it is full of departments, agencies, consulates, and organizations, with a huge number of expats from all over the world. 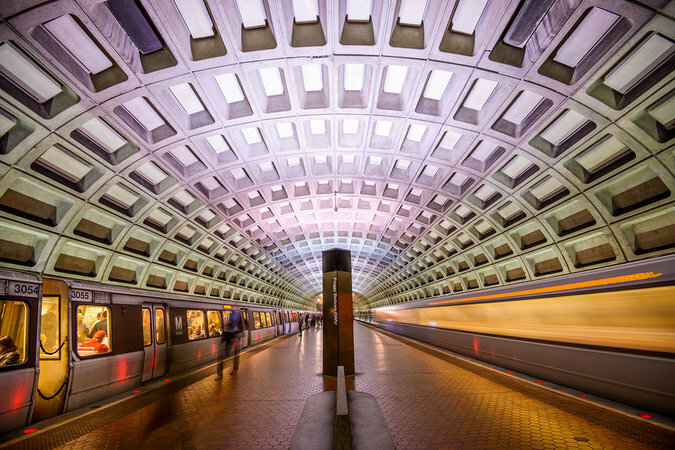 It is not a state nor a city and has just around half a million residents but the DC metro also benefits from neighboring states to create a metropolitan area that is 10 times its size. When you hear DC, it doesn’t just mean District of Columbia but could also refer to some parts of Virginia and Maryland that have become incorporated into the city. As early as now, you should know that the cost of living in Washington, DC is the 8th highest compared to all other US cities. If you are coming from an equally expensive city like New York, it might not come as such a shock. But if you are relocating from a more suburban area, expect to pay more for food, housing, and other miscellaneous expenses. But while this news may sound discouraging at first, the good news is that the median household income is way higher at $58,600 compared to other American cities. The city’s population is estimated at 600,000, making it the 21st largest city in the country. The city’s weather is warm and humid during summer and mild during winter. And while the traffic is as congested as in other cities of its size, it is more tolerable than cities like Chicago or New York. The job market in Washington, DC is quite strong, thanks to the federal government which is the city’s main employer. The state of Washington ranks 6th most affordable in terms of housing but it is still expensive. To live downtown, expect to pay around $1,200 for a 1-bedroom apartment and about $2,000 for a 2-bedroom apartment. There are, however, cheaper properties available in the surrounding cities and suburbs such as Bathesda, Baltimore, and Rockville in Maryland, or Crystal City and Alexandria in Northern Virginia. If you intend to live in the city, there are many different types of neighborhoods. The closer downtown, the higher the rentals would be. Capitol Hill and Eastern Market are both residential neighborhoods and very suitable if you are going to work at the Hill. You can simply walk to work or ride a bike. 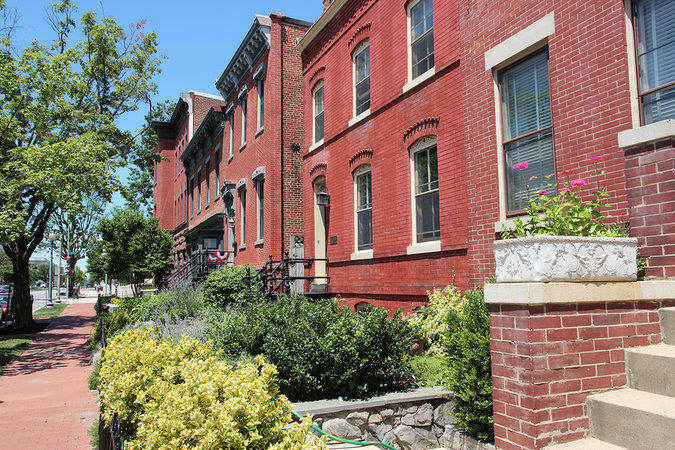 There are also hip neighborhoods such as Logan circle which has Victorian style houses. This area has great dining and shopping amenities. 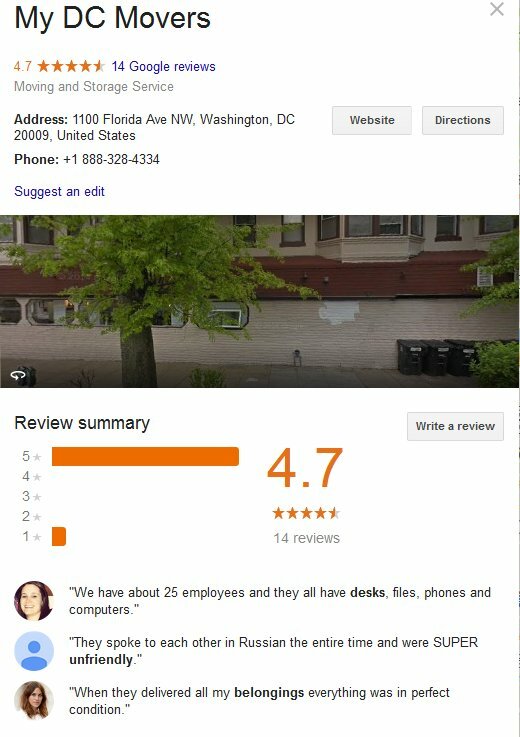 But even if you are relocating to DC, it doesn’t really mean having to live in the city itself. 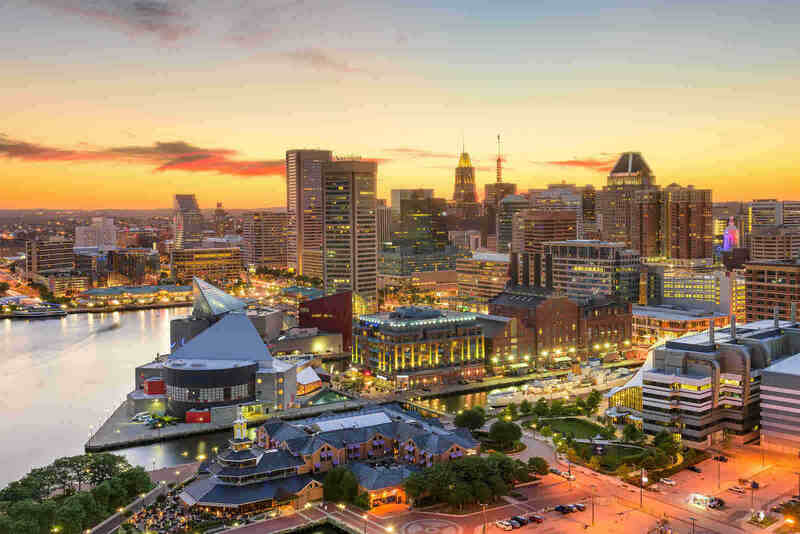 Many people move north or south and Baltimore, Maryland is a popular destination where moving companies often provide special discounts for transporting your goods. Baltimore is a beautiful city in the Chesapeake Bay that has a little of everything, earning for it the moniker “Little America”. You have mountains and the sea, a mixture of urban and rural living, history, and more. 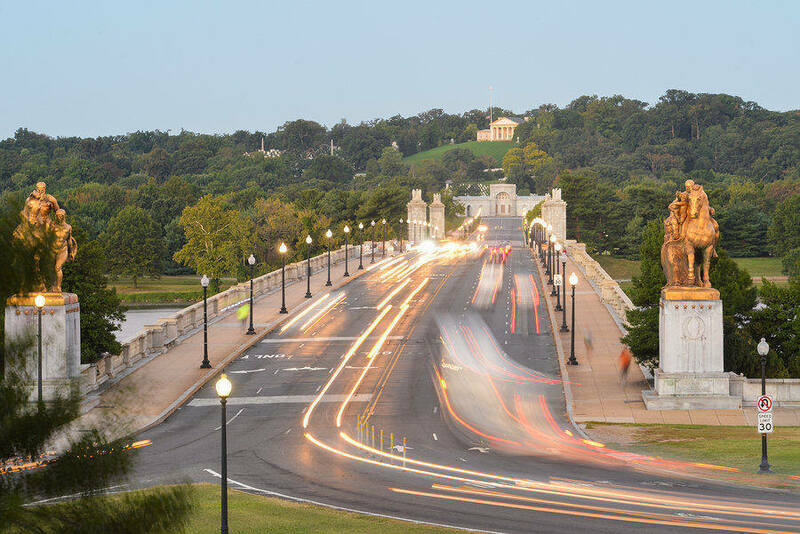 South of Washington, DC is Richmond, Virginia, one of America’s oldest cities. It is also a popular destination for those moving to the Washington, DC area as it is just 100 miles away from the capital. This mid-sized city also has a flourishing economy and has preserved most of its history. Close to the Appalachian Mountains, you have the greatest of the American outdoors. You can make a quick search of apartment listings in DC or find subsidized housing for low-income or seniors in the city. According to the Washington Post, millennials make up a majority of those moving to the city, with the biggest age group from 20-24. DC is such a young metropolis with a high concentration of people in their 20s. Despite the city’s youthfulness, it is quite obvious that the city has an unwritten dress code. As the home of many movers and shakers, most people dress professionally. Restaurants and bars are also known to enforce dress codes. The city may be small in size but traffic can be quite intimidating and travel in the city a bit slow. By car, getting somewhere could take from 40-60 minutes. Public transport is incredibly efficient and makes getting from point A to B fairly easy. The DC Metro is very clean and safe. The taxation system in the city is also very interesting. Sales tax is 6% except for liquor which has a higher tax of 9%. In restaurants, a 10% tax is imposed while hotels take 14.5%. However, groceries, medicines, and utilities are exempt from tax. Schools in Washington are aplenty and expats can also send children to public schools that fall within residential boundaries. There are also many international and private schools for those willing to pay higher fees. 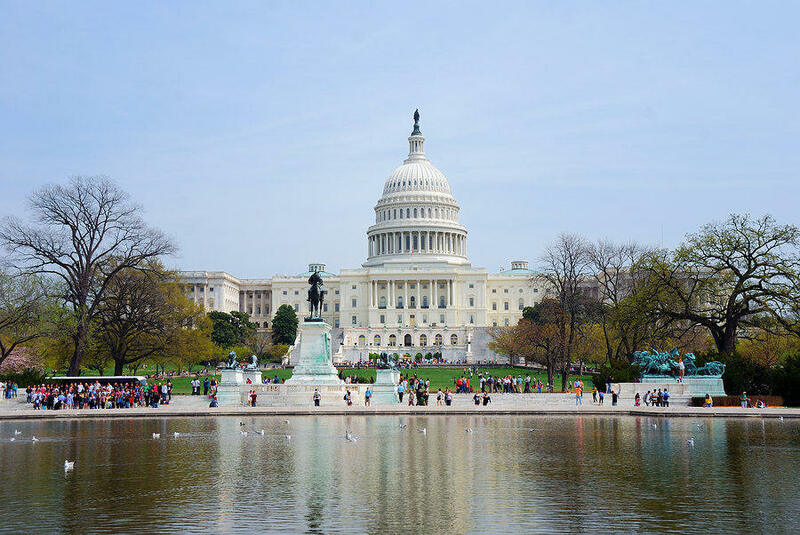 Some of the most important attractions in the city include the Smithsonian’s Museum of Natural History, National Air and Space Museum, World War II Memorials, and the Lincoln Memorial. There are some 40 theatres that make the arts scene quite rich. One of the perks of living in the Capitol is the ease of taking mini-vacations. DC is located close to ideal excellent vacation spots with truly amazing landscapes and outdoor adventures. You can try hiking in Shenandoah National Park or bumming out in Virginia Beach. These quick get-aways are refreshing and can recharge you after the noise and bustle of city living. And of course, the cherry blossoms and the Cherry Blossom Festival in Washington, DC will always amaze and thrill visitors and residents alike. 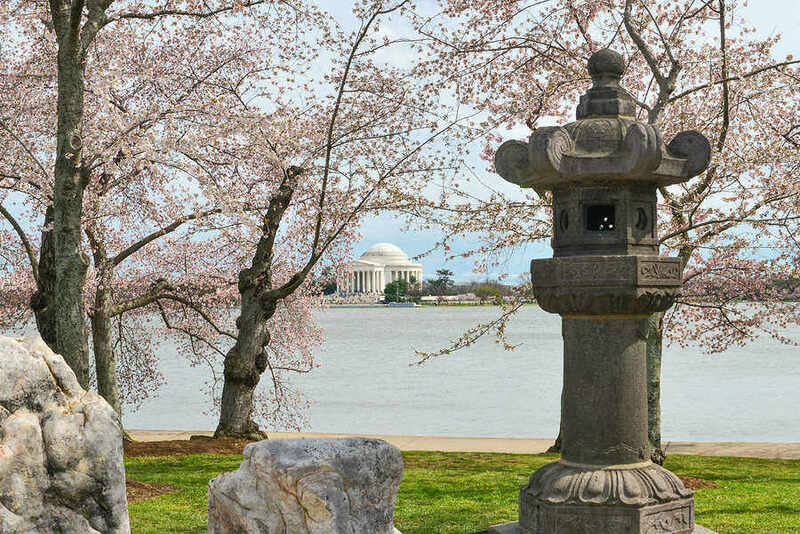 The peak bloom date or when the cherry trees surrounding the Tidal Basin can vary from year to year but lasts as long as 14 days and on the average happens around April 4. The city holds a grand festival as a time-honored tradition and that gives people in the city one more reason to enjoy and just have fun. Considering every aspect of the economy, DC is quite exceptional. Washington State’s unemployment rate is one of the lowest in the country at 5.9%. In the city, employment has risen to 84,000 new jobs each year, or a 6% job growth. The median income in the city is high and continually rising. With the federal government as its main employer, the city is almost recession-proof. However, it is not entirely proper to credit the government fully with successful job creation. DC also has other advantages such as high support from neighboring suburbs where there are many high tech and bioscience industries. Want to find a job in the capital? You could check out Washington Post jobs and the job resources for DC. Washington DC is definitely charming and there are thousands of good reasons to relocate here. 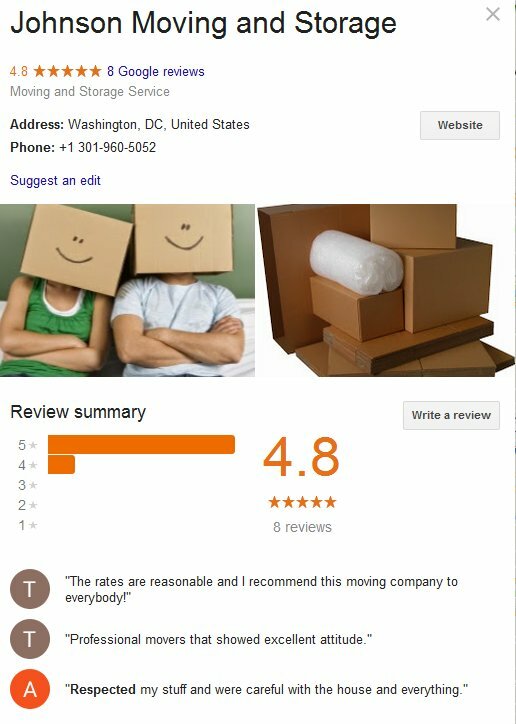 Whether you choose to live in DC, Richmond, or Baltimore, you first need to find a good moving company within your state boundaries to get you here. Most local moves are charged with hourly rates (median cost is $90 per hour) but out of state moves will depend on the weight of your household goods and distance to be travelled. 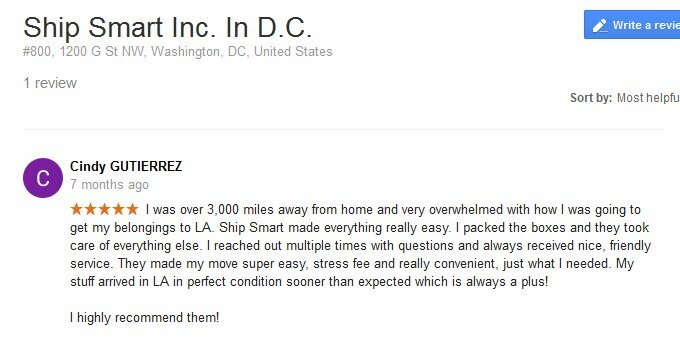 If you are coming from New York, Boston, or other big US cities, you can find Washington DC moving companies that offer flat or fixed rates. Before moving, you could consider down-sizing as you may not have the same amount of space you have right now especially if you plan to move into an apartment in the city. A good option to help you save money on a long distance move is to store some of your belongings you might not immediately need. You can also check licensed interstate movers from the Federal Motor Carrier Safety Administration. 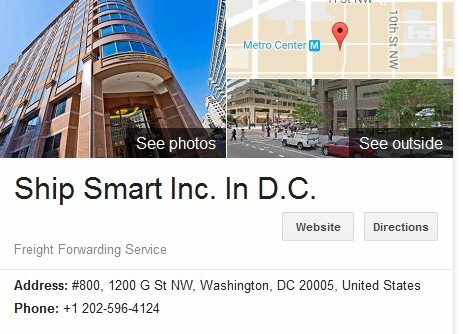 Below are 15 of the best Washington DC moving companies and their moving services to guide you in your search. There are a huge number of moving companies operating in the DC area and neighboring states. Not all these moving companies offer the same quality of service or the same moving rates. It is important to choose a moving company that has established a reputation for integrity and excellence is licensed with the Department of Transportation, and has insurance required by law. 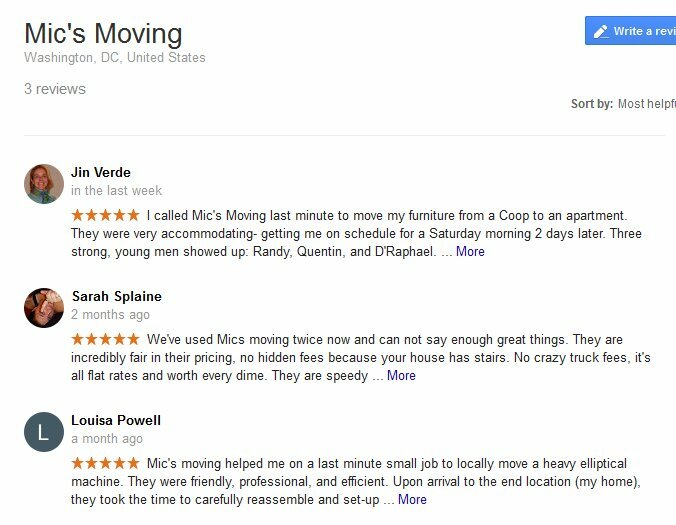 Start comparing moving companies and their services for your best move today. 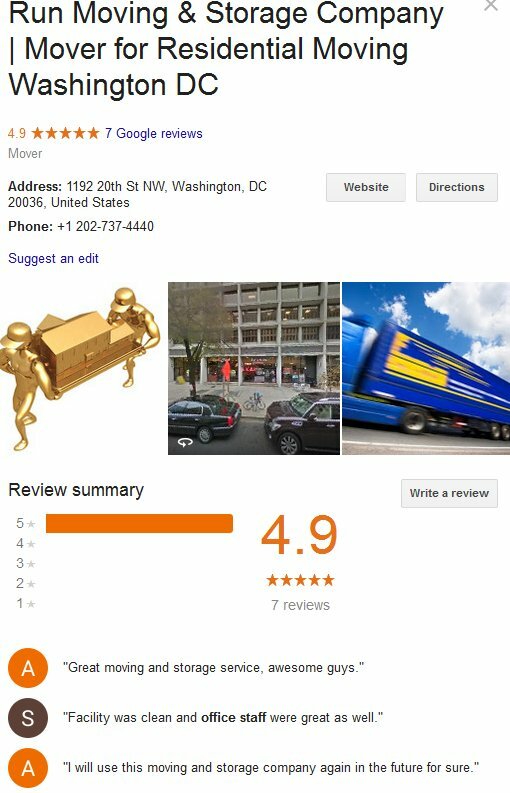 Below are some of the most popular movers in the Washington DC area. This moving company is family owned and established more than 25 years ago. It is also an authorized Budget truck rental dealer for more than 15 years. The company provides local and moving services in the Washington, DC area and the east coast with very competitive rates. It is a one-stop shop for residential and commercial moving and storage. For moving from a studio or 1-bedroom apartment, the company offers moving prices that start at $230 to $345. For large 1 or 2 bedroom apartments, their moving prices start at $260-$520. The final moving price will depend on the size of your move. 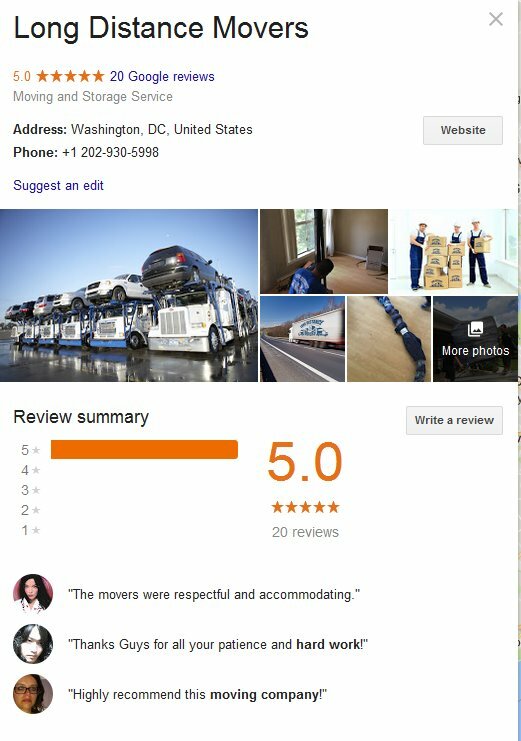 This moving company is a top-rated mover in the DC area for over 5 years. It offers apartment moving, household moving, and office moving at very reasonable rates. Since 2013, the company has been providing local and long distance moving services to homes and businesses at the lowest hourly rates in the city. The company also offers labor only moving services for those who have a rental truck. This premiere DC moving company offers residential and commercial moving services in DC, Virginia, Maryland, and Florida, for local or long distance moving. It has over 20 years of experience in the moving business and has served thousands of satisfied customers. The company is accredited with the Better Business Bureau and is a member of the American Moving and Storage Association. It is a 2015 Super Service Award winner of Angie’s List. Find out if this moving company is the right movers for your household move from their video below. If you want to move without moving a muscle, you can count on this moving company to deliver a stress-free yet affordable move. 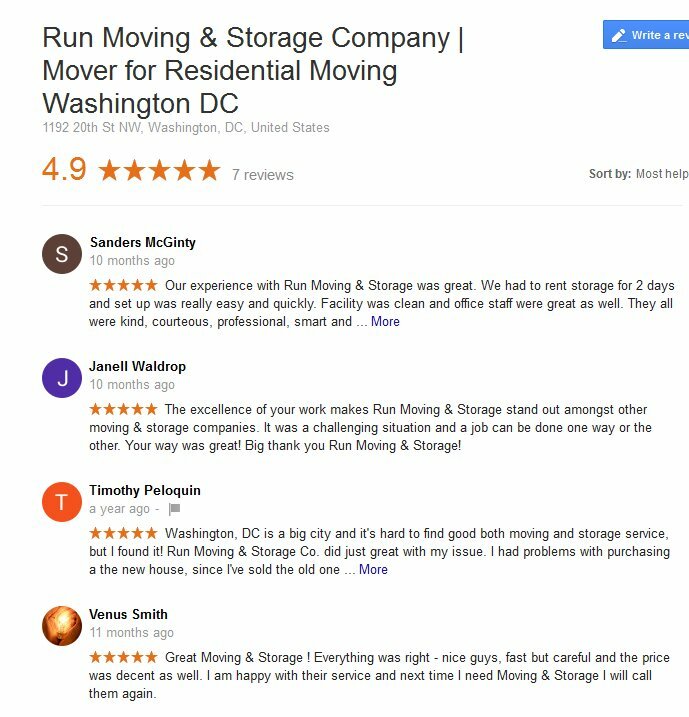 This moving and storage provider has been doing business in Washington, DC for over 30 years. They have many repeat customers because of their very friendly rates, high quality moving services, and excellent organ and piano moving services. They also provide secure storage facilities for your storage needs. This moving company is family owned and has provided high quality relocation and storage services in the DC area for more than 17 years. It offers residential and commercial moving services, local or long distance moving, and storage, at very reasonable prices. When you hire this company, they deliver moving bins to your location. You can choose to do your own packing or let the movers do it for you. When you are ready, the movers pick up the moving bins and deliver to your new address. 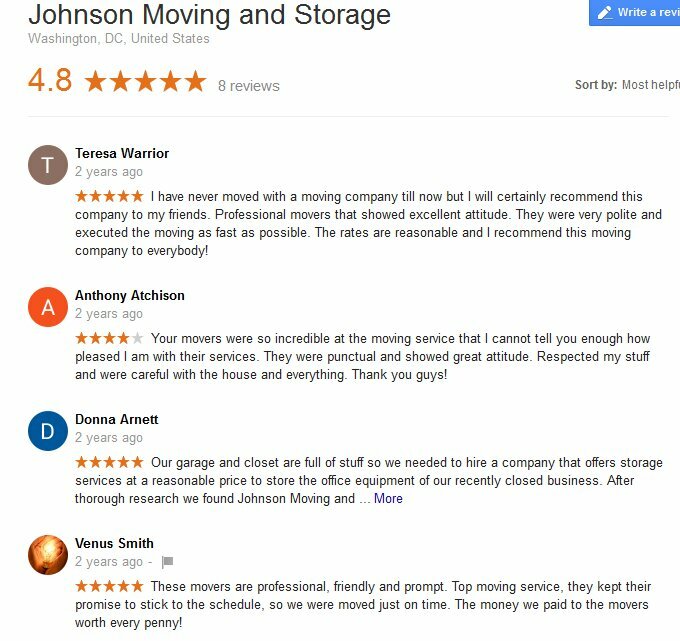 This company is accredited with the Better Business Bureau and is a member of the American Moving and Storage Association. This moving company provides satisfactory, careful, and fast moving services in the DC area. 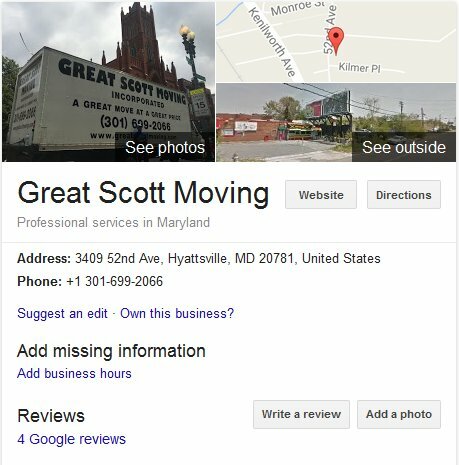 It has been in the moving business for over 20 years. They boast of unbeatable prices and the best trained movers. They put an emphasis on cost-effective moving services where customers get the best value for their money. It is a family owned company dedicated to providing comfortable and stress-free moving experiences for homeowners, individuals, and companies. 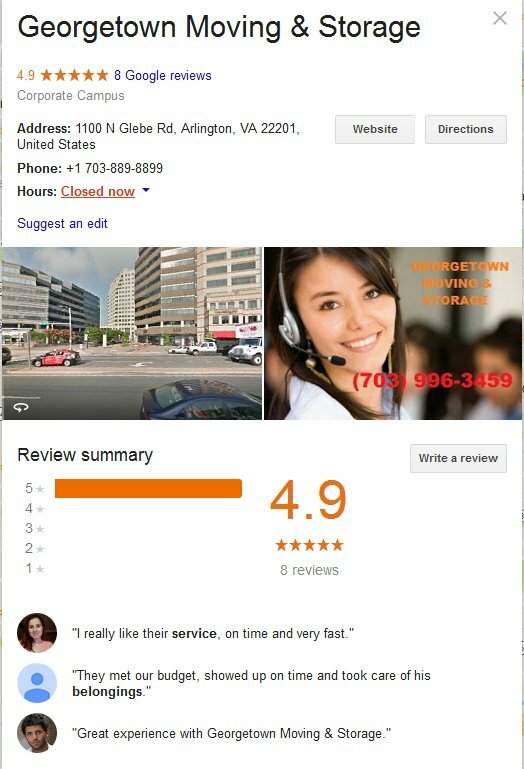 They can be counted on for residential and commercial moving, local and long distance, and serve the DC areas and Maryland. 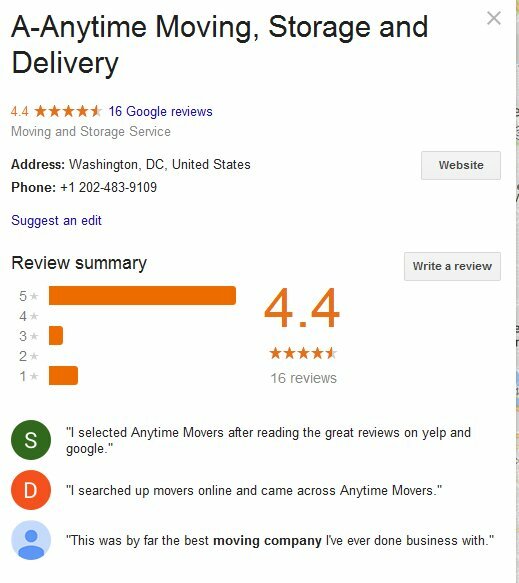 This moving company is a full service local and long distance mover serving Washington DC and surrounding areas. They can help with relocation from an apartment, home, business or even move a whole warehouse. They accept any type of residential or commercial move. For residential interstate moving, they provide the moving crew and truck and carefully pack and load household belongings for transport on the same day or the next day. For coast to coast commercial moving services, they safely load the cargo and quickly deliver to your new location to minimize business interruption. They can also handle international relocation. All their crew and partners are bonded and insured for the protection of their customers and their belongings. 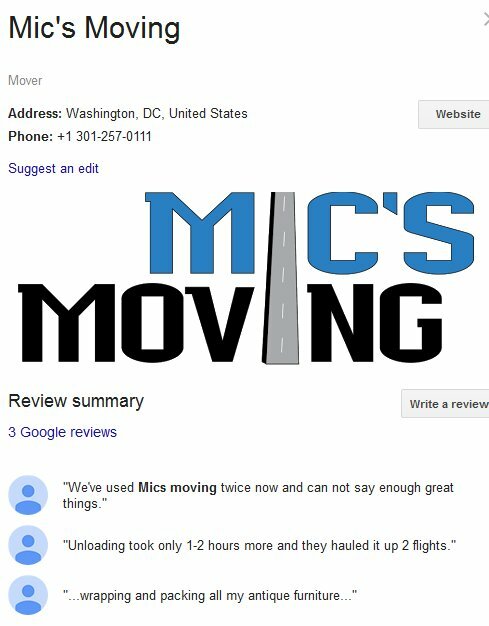 This is a professional moving company serving the areas of Washington DC, Virginia, and Maryland. The company is committed to providing smooth and stress free moving at affordable rates. They offer residential moving, commercial moving, loading and unloading, furniture arrangement, packing and unpacking, and storage. No job is too small or big for this mover as they have the right equipment and well-trained staff to help you with any kind of move. 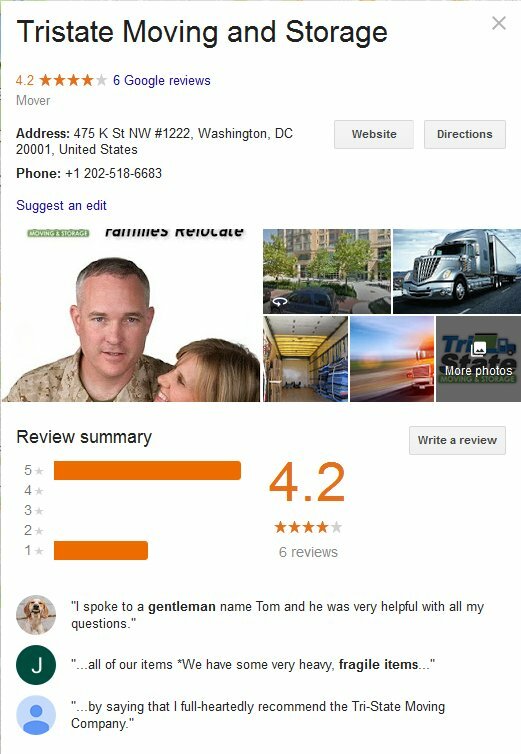 This moving company in Washington DC was established in 2005. Their top priority is to provide a painless moving experience for their customers. 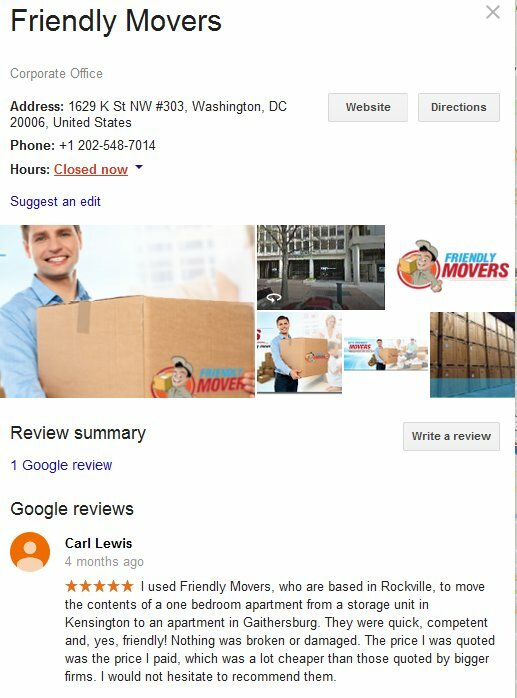 They serve the DC, Maryland, and Virginia areas and has earned a reputation for being the best long distance moving company in the city. They offer any type of long distance move in the East Coast or anywhere in the United States. The company also offers guaranteed rates for all out of state moves. They also provide commercial and residential out of state moving from the East to the West coast. Their moving crew can do all packing, crating, loading and unloading to help in your relocation needs. 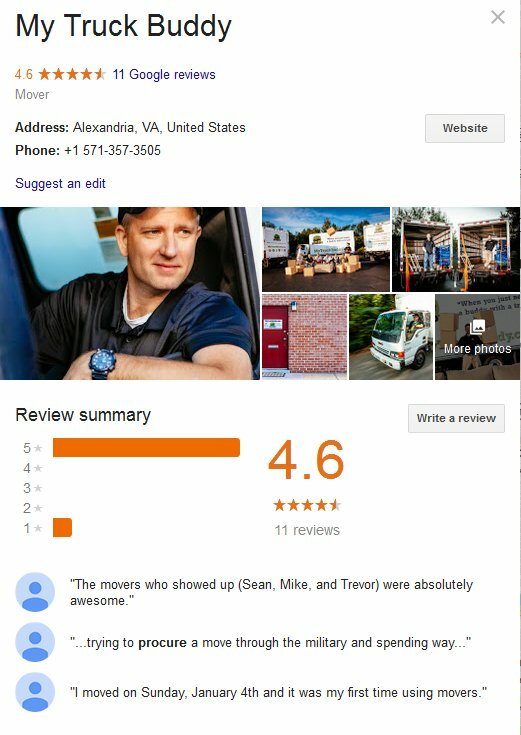 This moving company enjoys a good reputation for excellent moving services and great prices. Since 1990, the company has been serving the Metro DC area and its surrounding areas for all types of moving services. Aside from moving services, loading and unloading, the company is also equipped for hoisting and furniture disassembly. Depending on your needs, surcharge for hoisting may apply. This company is accredited with the Better Business Bureau. 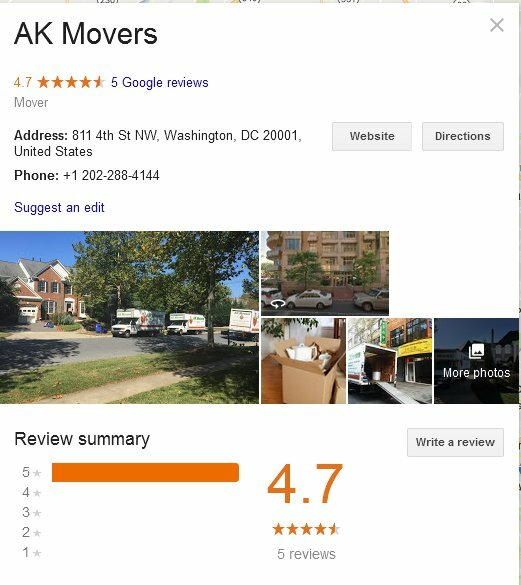 This moving franchise serves the greater Washington DC market and offers reliable and affordable residential or commercial moving. The brand is national and has been in the moving industry for over 30 years. Located in Washington DC, this moving company is experts in moving office furniture and equipment to minimize lost business opportunities. They don’t just move you from point A to B but ensures you get help with every aspect of your move – from packing to loading and unloading. 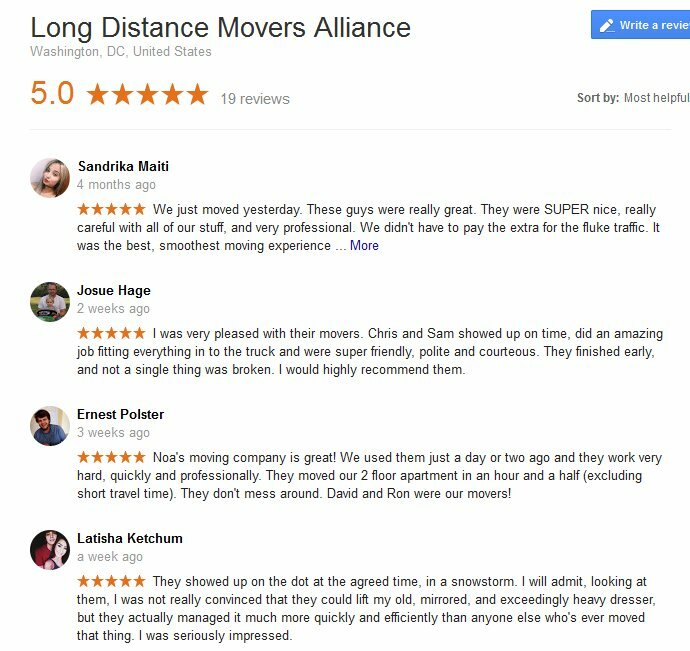 This moving company began in Washington DC in 2010 and has quickly grown to be the largest and well-rated movers in the DC, Virginia, and Maryland areas. The company also has offices in Brooklyn, New York and Philadelphia. They offer moving services, cleaning, storage, and junk removal at very reasonable rates. They also provide moving services from east coast to any part of the United States. They offer $50 discount on moves during midweek. They also offer moving labor for loading and unloading. The company has a sub-solv express service which means direct routes for long distance moves, specially 1bedroom and smaller moves. 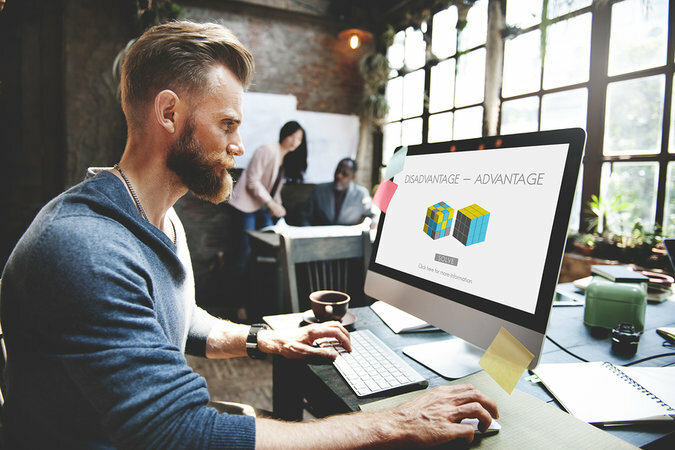 This enables the company to offer more competitive rates and quicker delivery time. 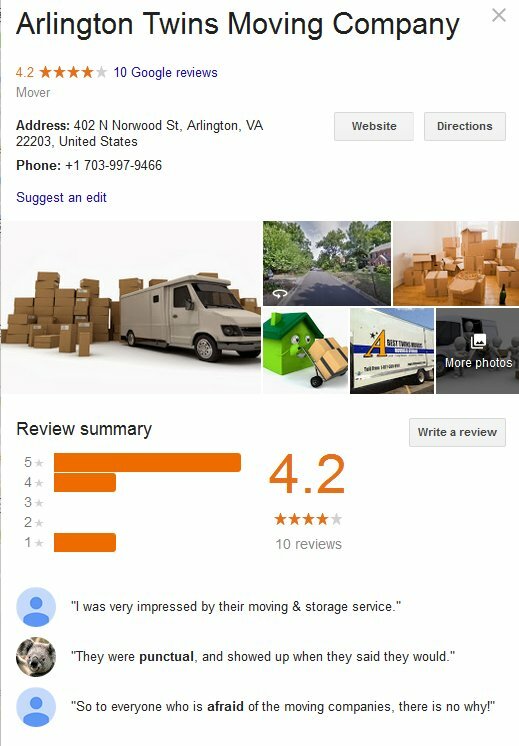 This licensed and fully insured moving company in Arlington, Virginia provides full service moving, local and long distance moving, packing, and storage services. Their storage facility in the DC Metro is highly secure and they have portable unites and affordable summer storage units. The company is licensed under the Department of Transportation as a national carrier and interstate carrier under the Federal Motor Carrier Safety Administration. It ensures the safe and efficient transport of your goods. This moving and storage company was established in 2004. They specialize in big or small residential moves, and moving antiques and pianos. As a licensed and insured moving company, they provide personal attention and aim for customer satisfaction from a small moving company. They help with moving, packing, junk removal, cleaning and other miscellaneous services. 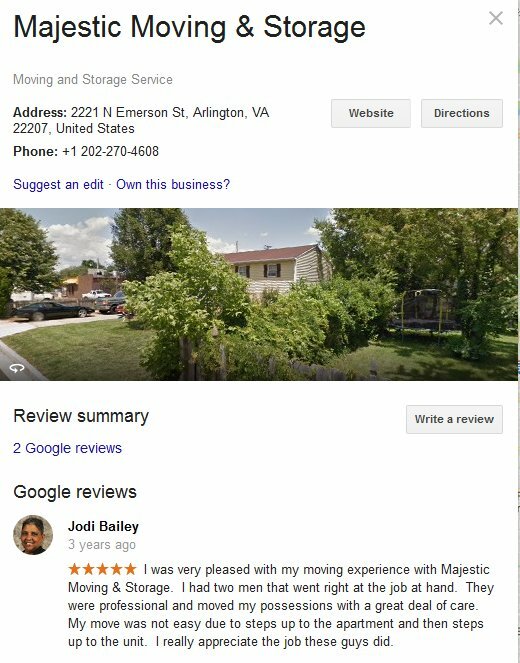 It is a member of the American Moving and Storage Association and a Super Service Award winner in Angie’s list. This moving company is perfect when you just need a truck and a mover. Being a smaller moving company enables them to offer more personalized service with loading and unloading, internal moving. or assembling furniture. The company has a fleet of well-maintained moving trucks. The company guarantees that their moving crew shows up on time and works hard and fast. 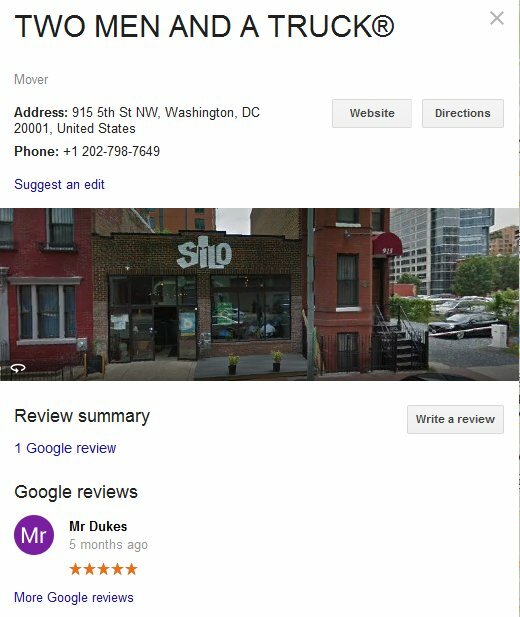 They have been serving the DC area for more than 8 years. The company offers two types of charges – base rate and hourly labor rate. The base rate is for a 2-hour charge and is a flat fee based on the number of movers needed and the size of truck and distance of travel. The range of their moving rates is from $455 to $995 for larger moves. For hourly labor rate, the company price starts at $140/hour and $280 per hour, depending on the number of movers needed. This moving company understands the stress that comes with moving and aims to make the moving process as easy as possible. 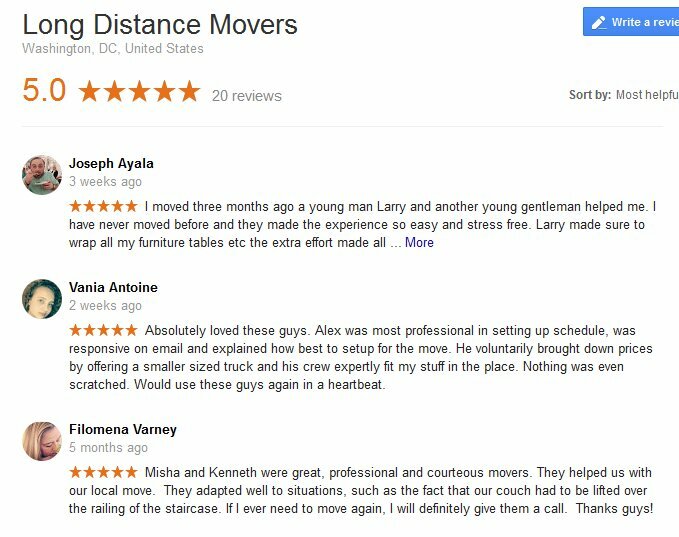 With over 20 years of experience, they offer high quality services in the Washington DC area, using only trained and qualified movers. This company is licensed and fully insured. It is also accredited with the Better Business Bureau and a member of the American Moving and Storage Association and the Maryland Motor Truck Association. You can depend on this company for reliable residential and commercial moving services and storage. This moving company offers safe, reliable and affordable moving services. It has over 2 decades of moving industry experience and has the expertise to undertake stress-free moves. The company offers residential and commercial moving services and secure storage. It also offers packing and unpacking and vehicle transport. This company also serves other US cities and can facilitate even international auto transport. With agents in multiple locations abroad, it can assist with getting your vehicle outside the US. This moving company is dedicated to providing high quality local and long distance moving for residences and commercial establishments. 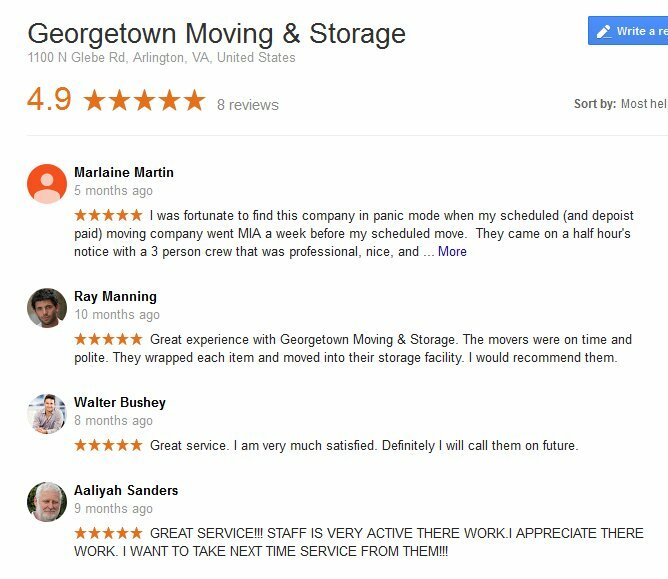 It accepts moving services and storage in Washington DC, Maryland, and Virginia. As a fully insured and licensed mover, it can take care of your packing and unpacking and move even delicate items such as piano, hot tub, and other fragile items. The company offers very affordable moving rates that start at $89 per hour for 2 movers and $109 for 3 movers. 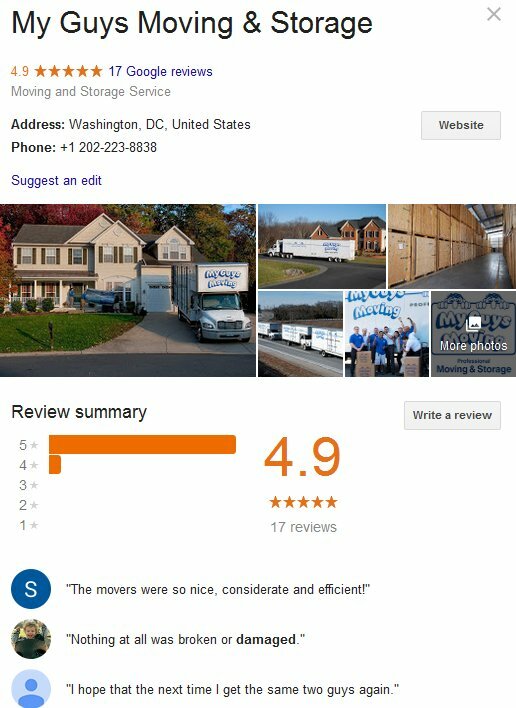 For over 12 years, this moving company has been providing Arlington, VA and surrounding areas with reliable moving services. As a professional mover, it is licensed and insured and aims for total customer satisfaction. It offers local and long distance moving services, piano moving, packing and unpacking, moving labor, international moving, and storage. The company offers holiday discounts on moving services. This freight forwarding company specializes in shipping household goods and custom packaging for a safer and cheaper way of transporting small moves that weigh less than 2000 pounds minimum. Your items can be shipped to and from Washington DC area including artworks, antiques, furniture, and other household goods. This company has been offering nationwide small moving solutions for more than 17 years and guarantees the lowest damage ratio and competitive rates for door to door service. 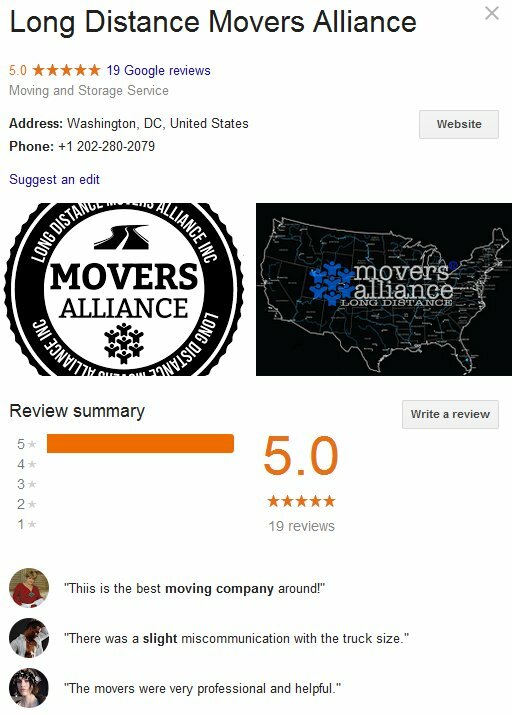 We hope the reviews for these moving companies in the Washington DC area have provided you with a clearer idea of your moving needs and expectations. It is possible to reduce moving costs when you move off –peak (not weekend or holiday) and when you are flexible with your moving date. You can also check out ways to reduce moving expenses from moving tips recommended by professional moving companies. It isn’t easy to find the right moving company. To reduce time and stress, the easiest way is to make use of free online moving quotes to compare moving companies and their prices. Why spend precious hours on the phone calling random moving companies and keep repeating your moving details? You can simply fill-out our quick online form and receive fair and accurate moving quotes from the leading moving companies in your location. 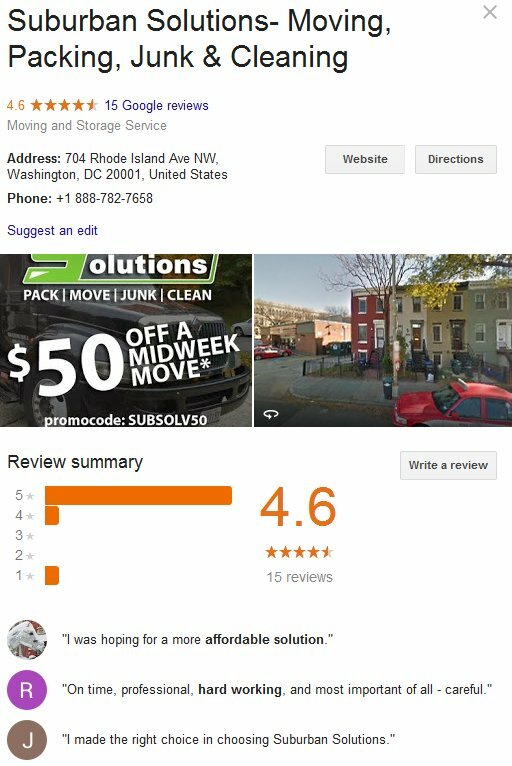 At 5moversquotes, you can obtain free and no obligation quotes from the best moving professionals in your area to help you move to Washington, DC or nearby areas. 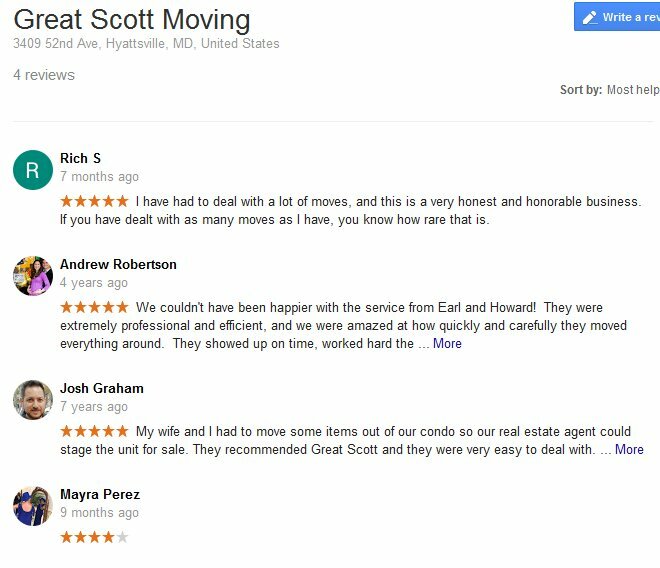 Compare experience, reputation, and moving services until you find the best moving deal that suits your budget. Having a successful and stress-free move starts with your choice of moving company. With more than 200 professional movers in our network, we can help you connect with the best moving company for your move. Request your free moving quotes today and get started on planning your Washington, DC move.